This article is specific to Outlook and Exchange. Task delegation may not be available in all messaging platforms. In order to understand this article, you must read these two articles first. Here is how you delegate work. Go to the Task folder and Create a new task. The icon for this task is different. 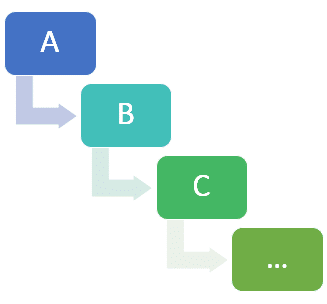 This way you can differentiate between your own tasks and delegated work. Remember to monitor these tasks and follow up if there is a delay. 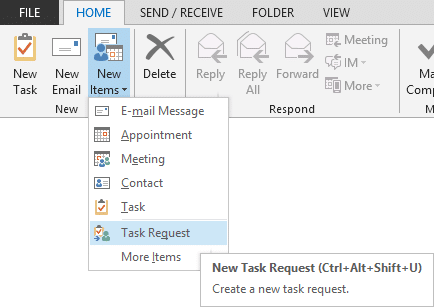 You can directly create a Task Request by choosing this menu item. It is a good idea to add it to Quick Access Toolbar – because you are going to use it frequently. Right click on the item and choose Add to Quick Access Toolbar. The other party receives it as a Task Request – with Accept / Decline buttons. When the person clicks on Accept, it becomes a task in that person’s folder automatically. When she marks it as complete, you get a notification in your inbox. When you open the notification, the equivalent task in your task folder is also marked as complete. Press Escape to close the notification… it destroys itself so that your inbox is not cluttered with such notifications. Only ONE person can be delegated work to using this method. This is GOOD because it makes that person accountable. Multiple level delegation is allowed. But one person at a time. Last person in the chain is responsible for execution. When she updates the task, everyone up the chain gets notifications and updates. Your tasks and delegated tasks are mixed up in the Task folder. Now you can see only delegated tasks. A new column called Owner is added. Right click on the Owner column and choose Group by this column. Open the group header to view pending tasks at a glance by person responsible. If everyone uses this method of delegation of work, the execution speed will double instantly across the organization. Try it. Best is to start top-down! Outlook must have at least one mailbox configured. What you have to do is in black color. What you have to say is in blue color. How will you take notes for this meeting? Open a blank Word document and type meeting details all over again? Obviously not! Now Outlook will ask you to choose the notebook in OneNote. Choose any one. A new page will be created with meeting name. 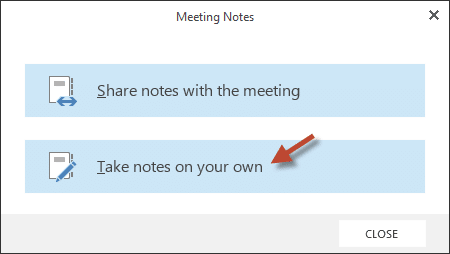 Unlike Word, all the meeting details are automatically added. Did you expect that? Let us say this is an action point which must be completed by tomorrow. 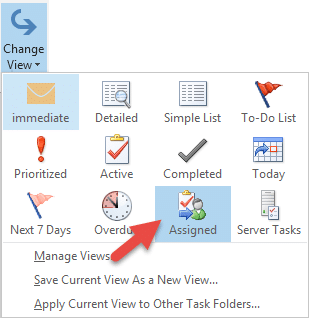 Now go to Outlook and open Tasks folder. Select Tasks. Not Follow up. Point to the task which was automatically created by OneNote. See – even before I finish the meeting, I already know my tasks. Now when I mark this task as complete (mark the task as complete in Outlook) what do you expect? DO NOT go to OneNote yet. 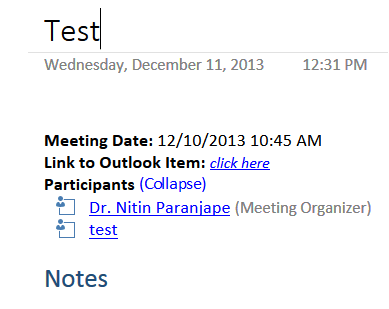 This is an amazing example of how these OneNote and Outlook integrate with each other. Usually we would have received the Minutes of Meetings a day later and I would have forgotten to execute my action point on time. What happens then? Delays and fire fighting! Sounds familiar? One more thing – this was my own task. 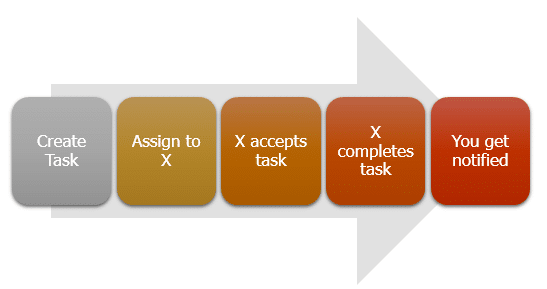 But what if I wanted to delegate task to someone? No problem, we could have chosen Custom task and Assigned it to someone else. That way I can still monitor the task and check for delays. 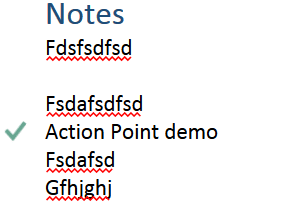 That is OneNote for you. Use it next time you are in a meeting. Practice this few times to perfect the demo. 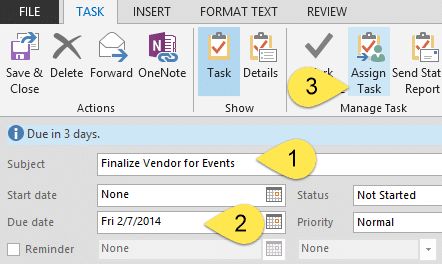 Mark as task in OneNote – it reflects IMMEDIATELY in Outlook task folder. 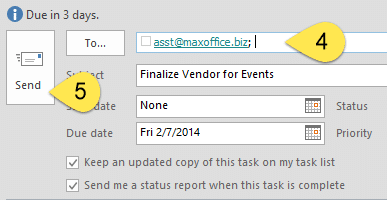 The catch is – when you mark it as complete in Outlook, it takes around 20 seconds to refresh the OneNote task status. That is why you have to mark it as complete in Outlook and kill some time by talking some relevant stuff before you return to OneNote.